Although we use doors every day, it’s quite easy to overlook that old interior door. After all, it does the job, and most upgrades are focused on the kitchen and master bathroom anyway. Why spend money on bedroom doors? There are more than a few reasons, draft control being one, which a household would opt to upgrade their interior doors. 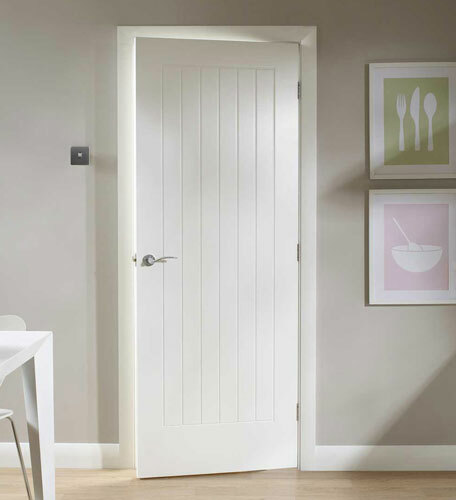 Here are some tips on shopping for interior doors to fit your needs. Double and triple check the size of the door. There is little worse than realizing the interior door styles that you bought will not fit in the opening you bought them for. There are numerous outlets online to teach you how to properly measure, so make sure you measure twice and order once. Account for the door’s swing, or the area it takes up when opening and closing the door. Not only does the swing of interior doors need to be free of anything that might block them, you also need to plan for the direction the door will open to. If a door is in a hallway, you don’t want it swinging in and blocking people from entering or exiting. It that is unavoidable, it is very helpful to have an extra few feet of open space so that people can walk by if the door is open. Finally, if you’re unsure of anything; don’t assume! Most companies employ people who are very knowledgeable about their products. If you’re ever unsure about something, or just want some more information before making a decision, be sure to ask for advice.